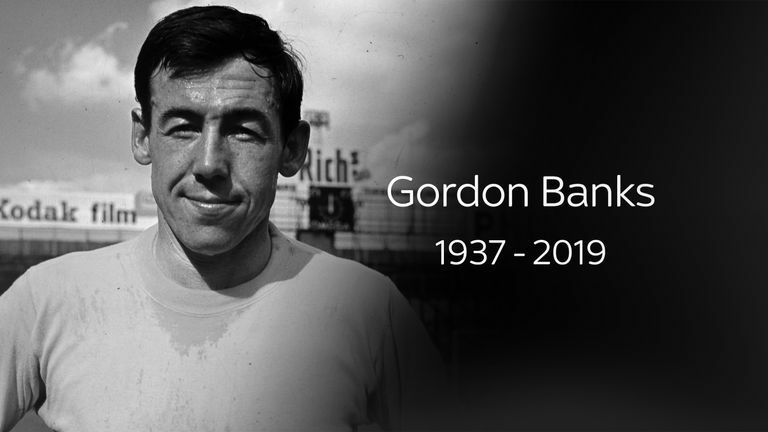 Veteran Sky Sports football commentator Martin Tyler pays tribute to Gordon Banks after the death of England's legendary World Cup-winning goalkeeper. "He won 73 England caps and lost just nine times, which tells you that not only was he very good, but he was also playing with very good players," Tyler told Sky Sports. "He was not the biggest goalkeeper in the world, but he was very athletic and he studied the game so well. He was a very thoughtful man, a real competitor who lived and breathed football. "He came from Sheffield and then went to Chesterfield, where all the goalkeepers seemed to come from in those days, and it was at Leicester that he made the breakthrough. 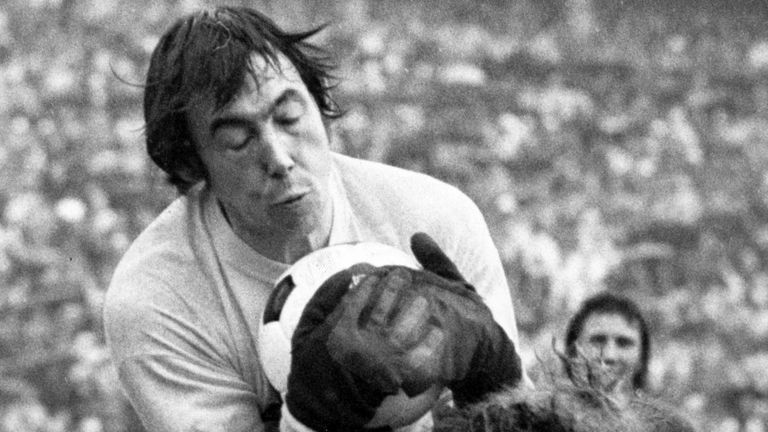 "Goalkeepers did not get honoured that much in those days, but he was the Footballer Writers' Player of the Year in 1972 - the only players' award then - which was a bit late as he had deserved it before then. "He was perfect for Alf Ramsey and the pragmatic approach that he brought to what was a bit of a hairum scarum England setup of selections panels, with England becoming super professional under Ramsey for the first time. "And Gordon was absolutely perfect for that and in the 1966 World Cup, he did not concede any goals until the semi-final, and even that was a late penalty by Portugal's Eusebio. "Meanwhile, in the final, the first and last goals in the 90 minutes went past him, but he was not at fault for either West German goal. 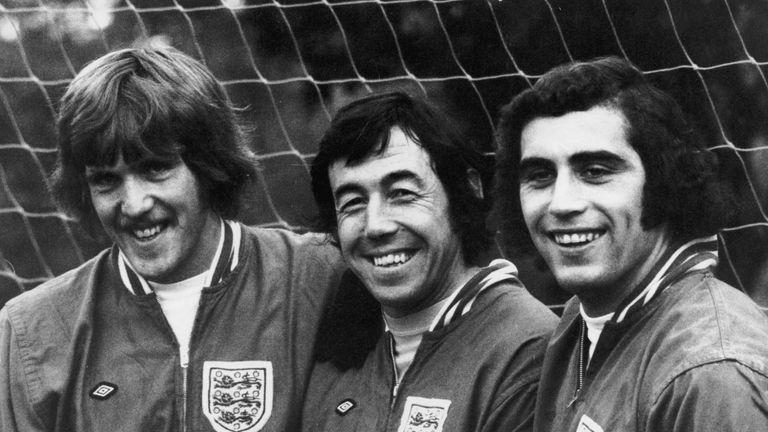 There was absolutely no blame attached to Gordon Banks during the World Cup at all, it was a spotless sequence of games for him. 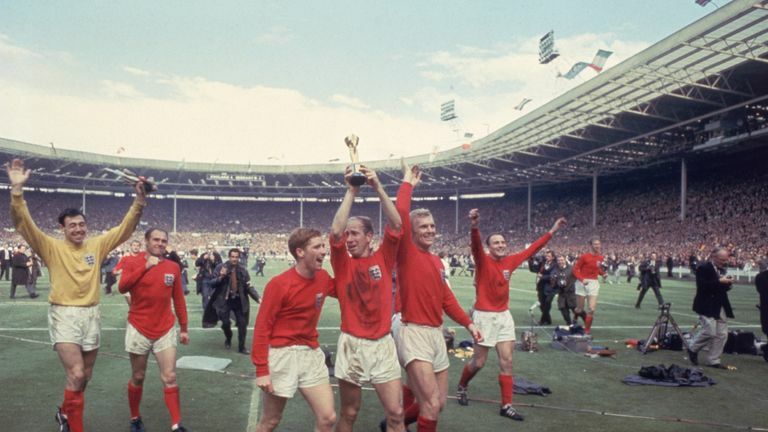 "The biggest compliment we could give him was that I believe England would have retained the World Cup had he not been ill in 1970, when Peter Bonetti stood in for him in their quarter-final defeat to West Germany. "When the dust settled and the analysis was made, the fact that Banks was not playing was crucial. "In later years he had injuries and then the car crash that effectively ended his career after he lost his sight in one eye. "It was a privilege to know him, he was an incredibly warm and generous man who even came to do a talk for us at Kingstonian and it was just a wonderful night. "And perhaps it is fitting to end with Gordon's own words on his remarkable stop to keep out Pele's close-range header in the 1970 World Cup: 'I'm sure I equalled that save in league games, but this was one special when you put it in a World Cup finals' game against a team of Brazil's stature and against a player of Pele's greatness. 'Had we been losing 3-0, it would not have had the same impact either, but it was 0-0 and we were playing really well that day. 'I'm looking round falling because I knew it was near the post and I thought it had gone in and, of course, the crowd erupted and I still thought they had scored.'"